Good afternoon everyone! 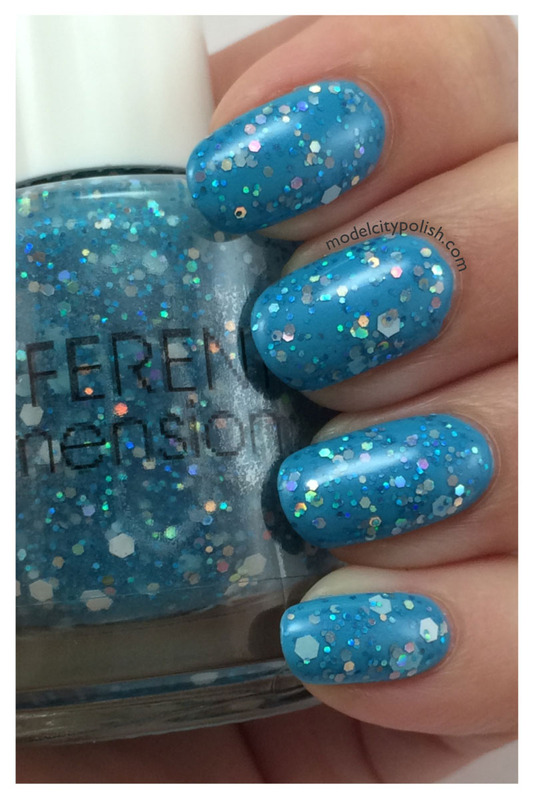 Today I have a long time lemming to share with you guys! 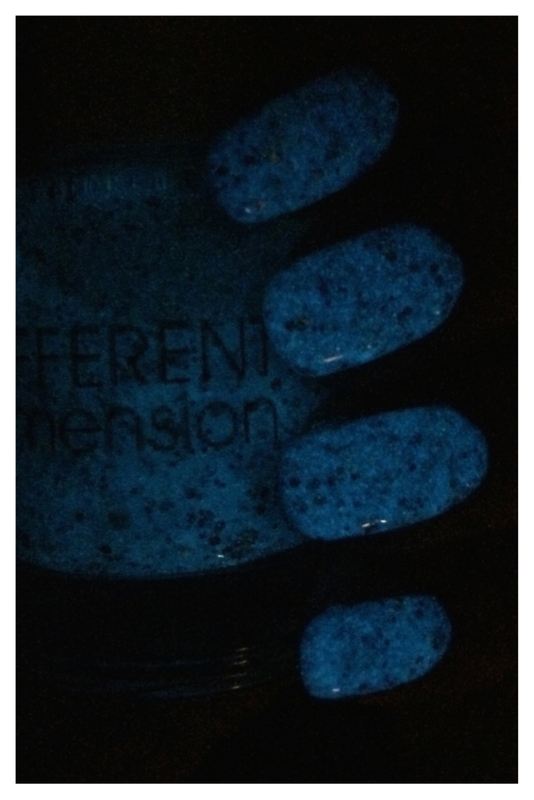 Different Dimension is know for fantastic lacquers, wonderful glitters, and their glow in the dark blends are amazing. Light it Up Blue is all of these mixed into one. 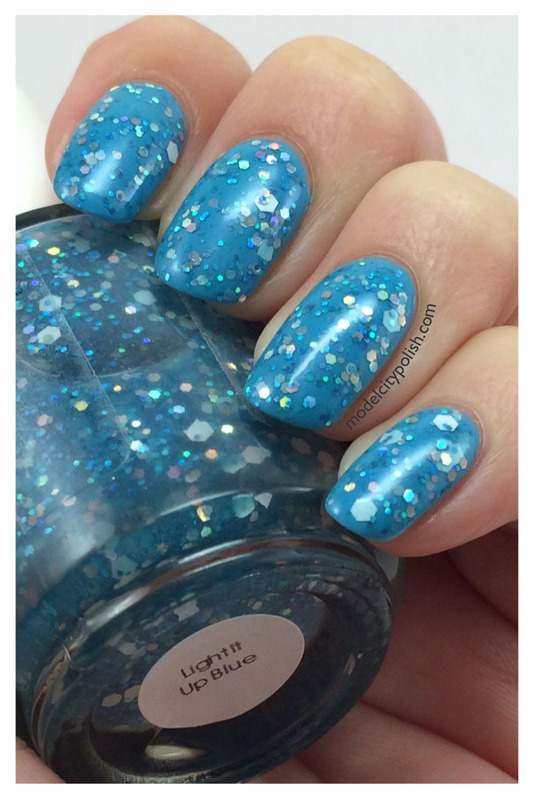 Light it Up Blue is a very sheer blue jelly with white, holographic silver, and iridescent glitters in various sizes. This blend is thick so you get great coverage with just one application. 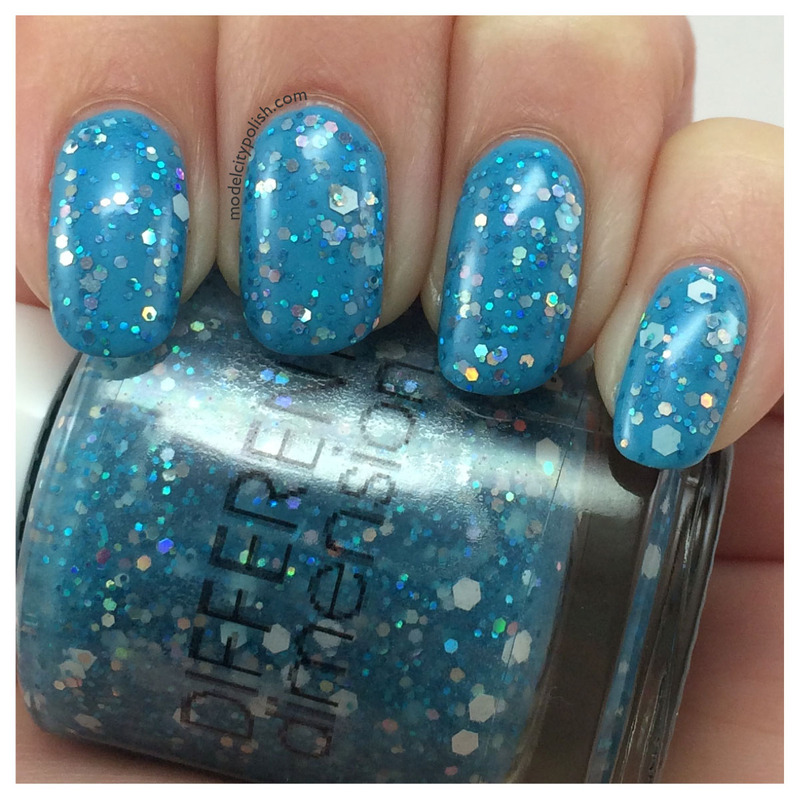 Now that being said, I used two coats because more glitter is always better… right? nod yes, it’s okay. 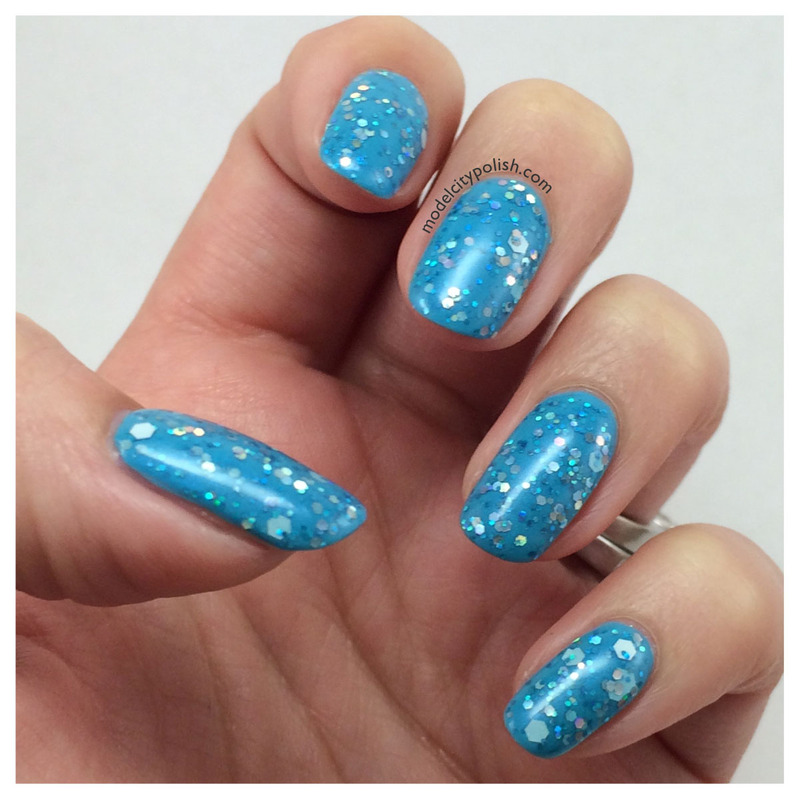 I used Julep Clair for a bright blue base color and then sealed all of it with a good coat of Gelous and a coat of HK Girl Fast Dry Top Coat. 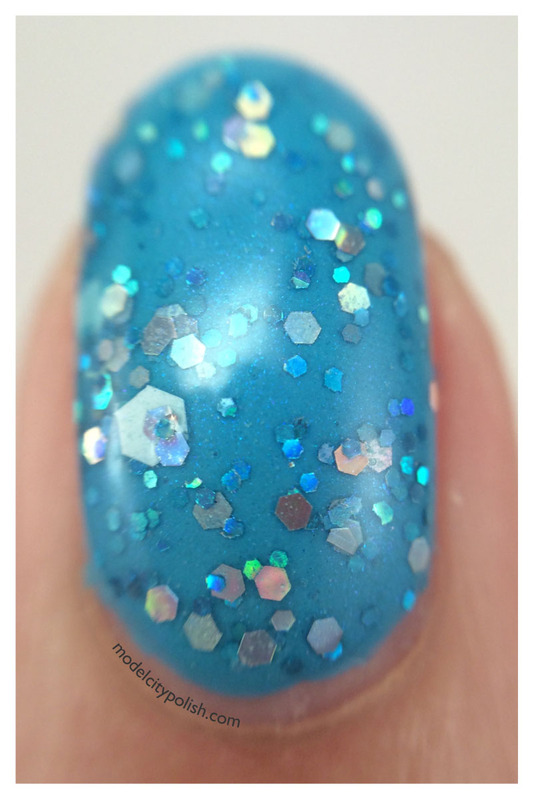 Now for a couple of dark photos to show off the gorgeous blue glow. Isn’t it just gorgeous! It is much brighter in person. 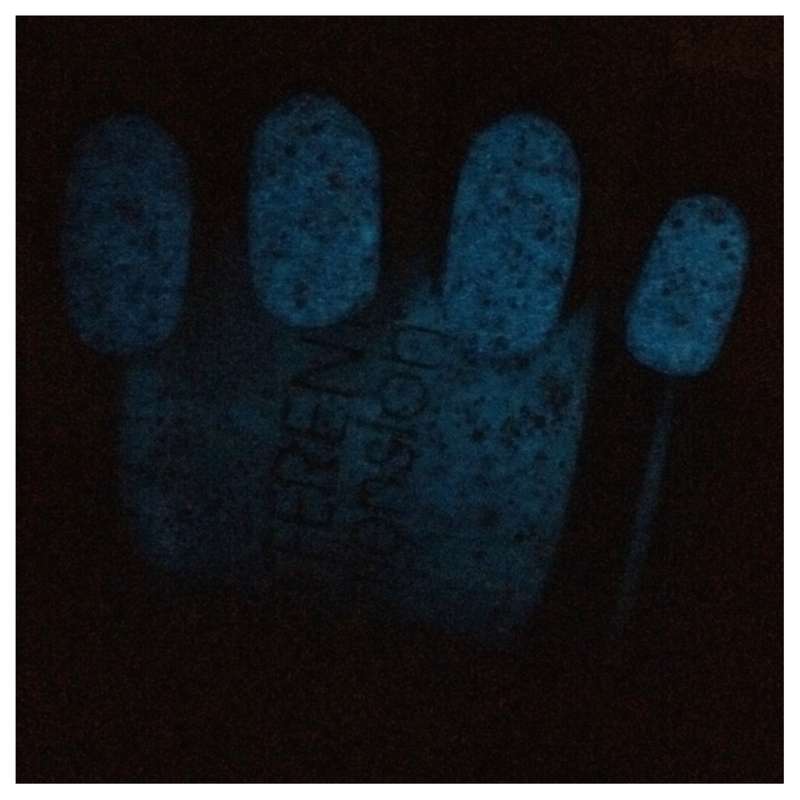 I freaking love glow-in-the-dark, but aside from a couple of testers I mixed myself, I have none. Not a one. Not a single glowy polish in my 350+ polishes. What is wrong with me? This is absolutely fantastic. 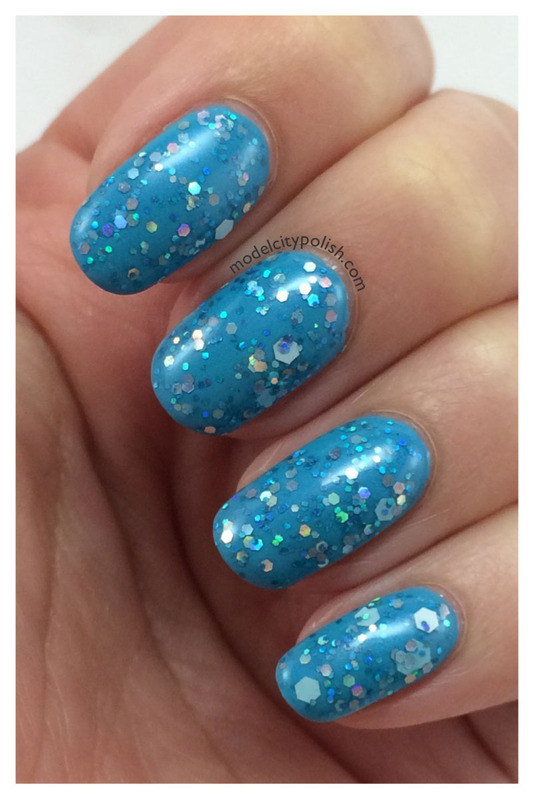 I love the glitters, and that blue glow is to die for!